One of the offices of the Independent National Electoral Commission (INEC) has been gutted by fire. 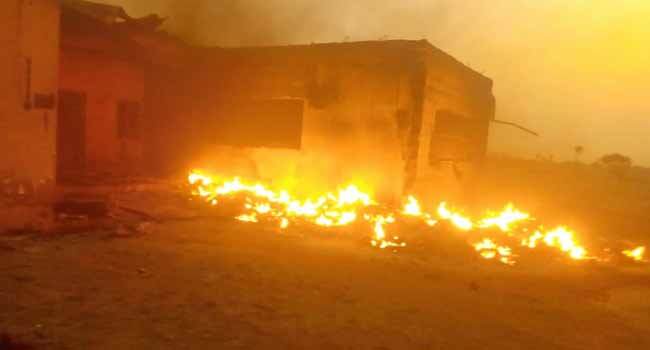 The incident occurred on Saturday night while the office was completely burnt down with all its content comprising ballot boxes, generators filled with fuel, cubicles, newly printed electronic and manual Voters Register were destroyed, among others. The incident has allegedly caused a setback in the preparation for the general elections in the area.